Have you noticed how all the latest crazes around town involve the latest term of “a pop-up”? The more common form of pop-ups involve food or entertainment. Regular townies can be exposed to or come across various pop-up food stalls, food carts, restaurants (also referred to as instant restaurants), pop-up raves and dance venues. I’ve seen a charity pop-up second-hand clothes store for the day at one of our major railway stations, and the most productive seen so far this year was the pop-up flower store at the central station with long, snaking queues of desperado’s picking up their last minute purchases on Valentine’s Day with Singaporean orchids selling at $4 a bunch (Bargain!). However, I thought you might like to see another form of pop-up art (as opposed to pop-art), in the form of an earlier version of pop-ups – the pop-up book. 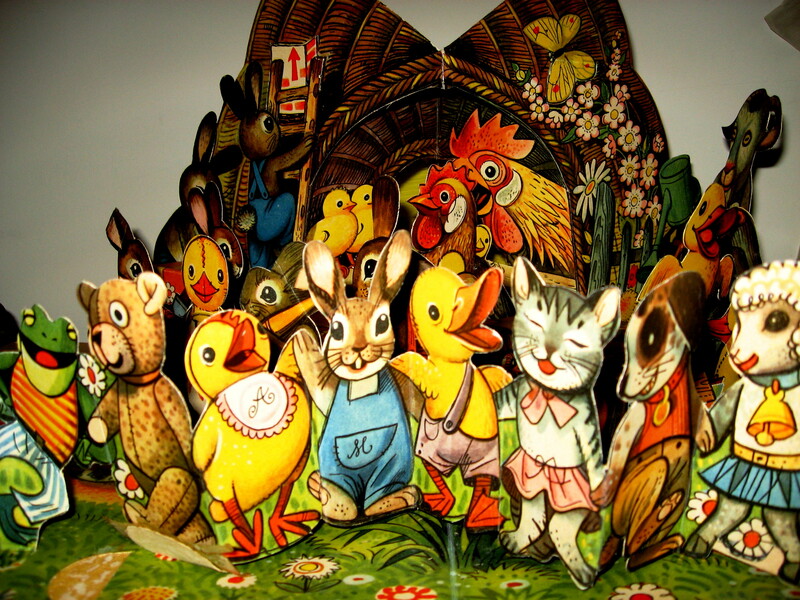 The term pop-up book is often applied to any three-dimensional or movable book, although properly the umbrella term “movable book” covers pop-ups, transformations, tunnel books, volvelles, flaps, pull-tabs, pop-outs, pull-downs, and more; each of which performs in a different manner. I must add, a friend of mine has a pop-up copy of the Kama Sutra. I’ve been looking out for a copy of that for some years – alas, with little success! As illustrative art – I classify this as ‘Good‘ in my Questionable art category. This entry was posted in Cards, Collectibles, QuestionableArt, TheGood and tagged #IllustrativeArt, pop-up books, pop-ups. Bookmark the permalink.